Become a Certified Payroll Professional! The Orange County Chapter of the American Payroll Association invites you to become a Certified Payroll Professional. To sit for the exam the payroll professional must be proficient in all aspects of payroll, which include payroll preparation, taxation and tax reporting, MIS, human resources and accounting. The American Payroll Association offers the CPP certification to recognize those who have demonstrated professional proficiency in these areas. Our goal is to assist the group in achieving a 100% passing rate through sharing knowledge and offering motivation. 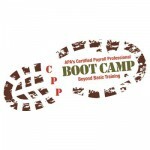 The OCCAPA Boot Camp is 1 day session to help prepare for the CPP or FPC exam. The session includes a complete practice exam and a thorough review of the questions and answers. Our Spring Boot camp typically runs in the months of March-May. Please check our calendar for details. Follow this link for this year's OCCAPA CPP/FPC Study Group. Our 2016 OCCAPA CPP/FPC Study Group was a huge success! Congratulations To Our Study Group Members Who Passed the CPP Exam. Job Well Done! The Orange County Chapter study group definitely helped me with my path to becoming a Certified Payroll Professional. There is a lot of individual effort involved to pass the exam, but the study group was able to provide me with the proper tools to be successful. I enjoyed being surrounded by other payroll professionals and other CPPs who were always so helpful and knowledgeable. I would like to thank everyone involved from the Orange County Chapter including Lisa Ager and Gaye Hudspeth, but I would like to give a HUGE thank you to Kris Armstrong! She was a wonderful coordinator and I enjoyed her enthusiasm and willingness to help every week. I would also like to thank my awesome mom, Diana Johnson (CPP and Orange County Chapter Member), who was so supportive throughout the whole process and kept encouraging me to become a CPP. I know that being a CPP will help me with my professional growth and career! I would recommend this study group to anyone wanting to become a CPP. The Study Group is a place to find new connections and be inspired to press on towards your goal. I would love to be a part of helping with the Study Group next year. Robyn and all the facilitators of the study group were very helpful!! I recommend taking the practice tests as many times as you can and practicing the problems. Others in the group helped a lot too and let me know what to study so I could pass! I enjoyed the study group and would recommend it for anyone thinking about taking this test. It provided the ability to go over any of the material I didn't understand and prepared me for the test. Thank you to everyone that gave their time to review each week with us. Kathryn Christensen, CPP, Payroll/HR Manager, AJ Kirkwood & Assoc. Juan C. Rada, CPP Payroll Supervisor Kimco Staffing Services, Inc. The CPP Study Group enabled me to focus on my studies for the CPP exam, and it was helpful to be with other payroll professionals who have experienced situations that we were able to share and gain insight from. I appreciate all the time and effort the facilitators and coordinators put in to help the study group. The study group provided good accountability to make sure that I was keeping up to date with the material. I had purchased study materials before, but coming to the group REALLY helped me stay on track and get it done. I liked how people who has recently passed the test were able to emphasize what was important to study, and the fact that I could email the facilitators when I had questions or needed hints. The exam was a lot of work, very challenging, but constant studying, reviewing, and memorization will get most people a pass! Bonny O'Neill, CPP, Senior Payroll Specialist Supervisor, Spireon, Inc. The classes were a great help. It helped me to keep in check of my schedule plus a lot to learn from different people, about different companies and different types of industry. I would recommend everybody to take the classes if they are planning to appear for the exams. Jonathan was great and so very helpful!! I also used flash cards VERY heavily and took all the pre exams I could find. Most of all....LEARN THE MATH! Seriously, learn the math!! Would love to be invited to teach!! Kris Armstrong, CPP, Payroll Manager, Drybar Inc. The study group kept me on track studying each week and made me confident that I would pass the exam. And I did. David Gay, CPP, Payroll Resource, Ensign Services Inc.